Stripnjak Comics from Bosnia/Norway (publisher of Glimpses of Comfort by Ella Gall and me) and Modesty Comics from UK (they published my debut graphic novel The Healing Island) have some great new graphic things in I highly recommend. "Small art book/illustrated story/zine, whatever you want to call it, it's just great thing to read. 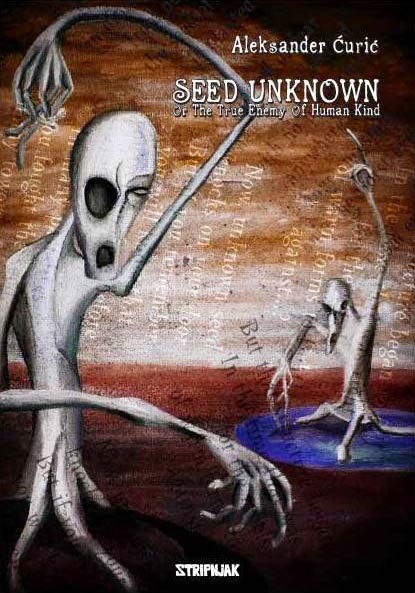 It's Unknown Seed! Written and drawn by Aleksander Ćurić from Serbia who also make things like SPATIAL COMICS and industrial electronic music under the name SLKOIL." "If the illustration is without spirit, which is given by the author, it remains merely just to do the job, mechanically transferring words into lines and shapes, filling the gaps on the page. The author of this book of illustrations is certainly not someone who just does the job." 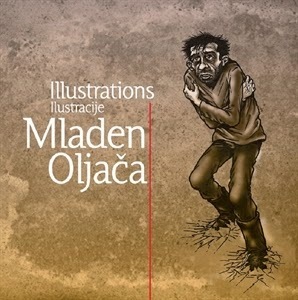 Available to buy as an e-book (PDF) in ENGLISH/Serbian.